Rugged, purpose-built pocket binoculars, the T3 Trailfinder series deliver quality and value for money to people interested in owning and using a binocular while out enjoying the countryside. Designed for walkers and hikers alike, these compact roof prism instruments feature a single-hinge body construction and high-contact rubber covered focus wheel that combine to provide for easy one hand operation with or without gloves. The lightweight bodies are nitrogen gas waterproof to prevent water penetration and misting on the internal surfaces and are covered in a textured rubber armour to aid grip in the hand and protect against knocks and bumps during use or while packed in a rucksack. 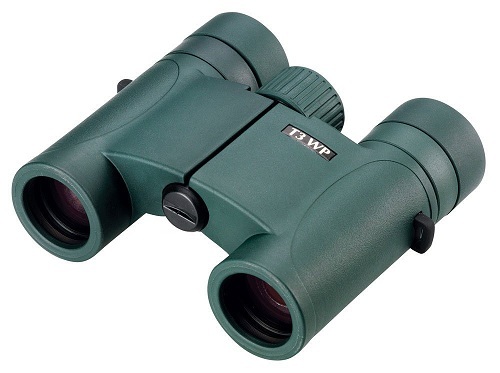 T3 Trailfinder compact binoculars are supplied complete in soft case with lanyard and integral objective lens caps.